Brain Booster Rating: 8 out of 10. A little bit of sugar, some caffeine from the chocolate, and whole grains from the popcorn make this a healthy study break snack. 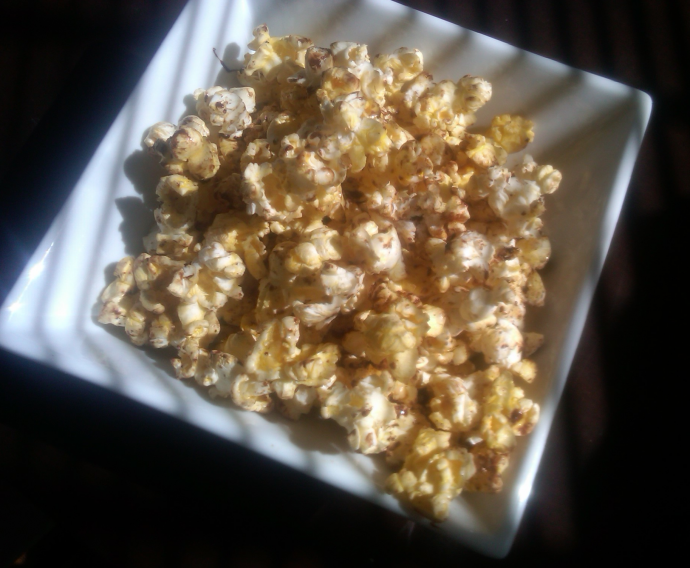 Stovetop popcorn is an easily prepared, healthy and inexpensive snack that can be seasoned in a variety of ways. It’s so much tastier than microwave popcorn and perfect to prepare while studying for a test or for friends coming over to watch a movie. Chili powder and sea salt chocolate is my favorite seasoning combination and is a great blend of sweet, salty and spicy flavors. Zoe McKinnell is a senior at Brown University who is currently building up her repertoire of healthy snacks before she starts finals. Cover the bottom of a deep dish pan with 1-2 teaspoons of olive oil. Let the oil heat up on medium. Test to see if it is hot enough by adding two kernels and wait until they pop. Once they’ve popped, add the rest of the kernels. Remove the pot from the heat and shake. Once adequately shaken, put the pot back on medium heat for about 5 minutes or until you stop hearing popping sounds. Remove the lid. 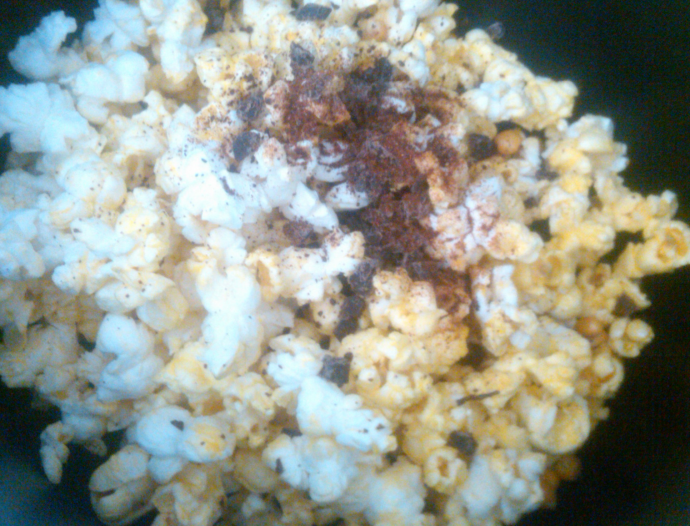 Drizzle the popcorn with olive oil or butter and sprinkle with grated chocolate and chili powder. Mix and serve immediately. I’ve been making TONS of popcorn recently and can never figure out how to incorporate chocolate without a soggy melted chocolate mess. Grated chocolate! Miracle of miracles! Thank you! This looks incredible! I absolutely love popcorn, it’s such a brilliant snack! I shall be making this soon! Can you use chocolate chips or do you think it would get too sweet and chunky.